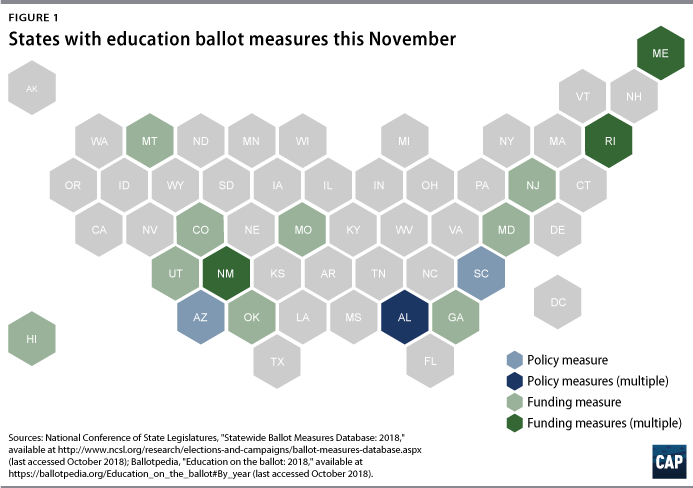 *Author’s note: This list of 20 ballot measures was compiled using information from two sources: the NCSL, whose database produces 23 results when users search for 2018 general election ballot measures under the topics “Education: Higher Ed” and “Education: PreK-12”; and Ballotpedia, which lists 16 education ballot measures for 2018. 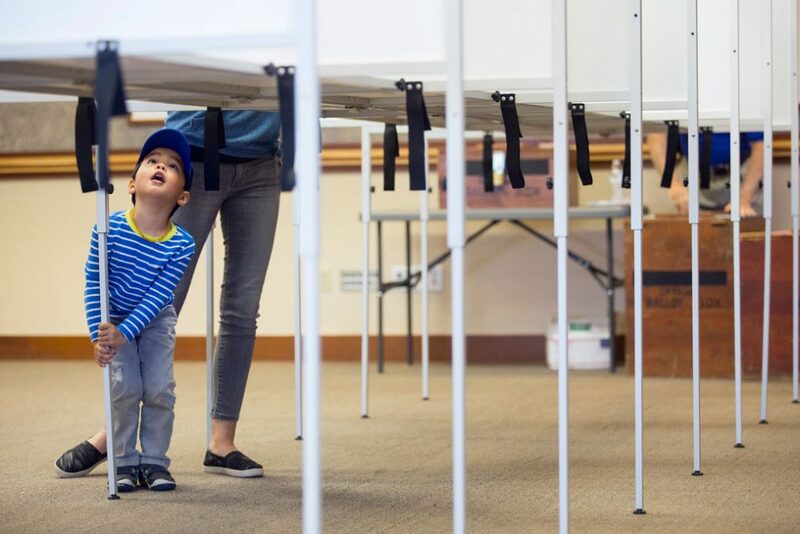 The author examined both lists, removed any pending or noneducation ballot measures, and compiled this final list. 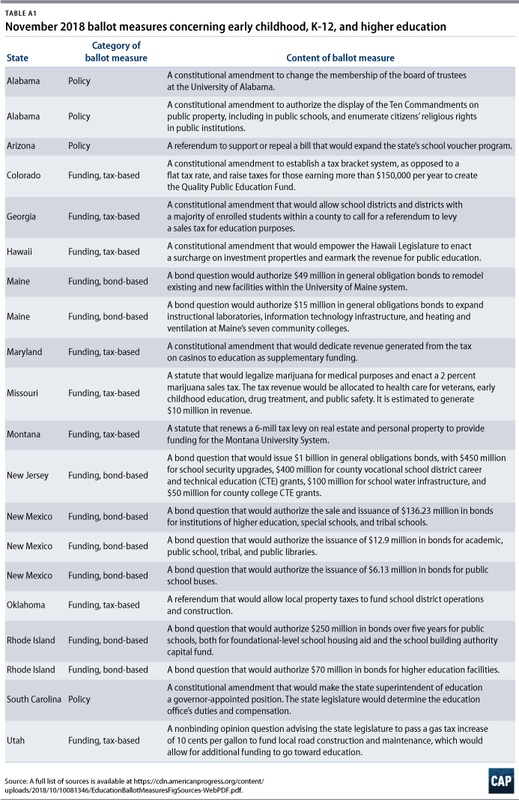 As some ballot measures are still pending, this list only reflects what was true as of the date of publication and is comprehensive to the best of the author’s abilities. **Author’s note: The author calculated the estimated revenue totals for tax- and bond-based measures, in addition to the cumulative total estimated revenue. For tax-based measures, the author added together the estimated revenue figures from available fiscal analyses for the ballot measures. For bond-based measure, the author added together the stated allocated funds from the bond questions toward education initiatives. Table 1 illustrates a breakdown of the monetary amounts from each state, which resulted in a final revenue total of slightly more than 2.6 billion.